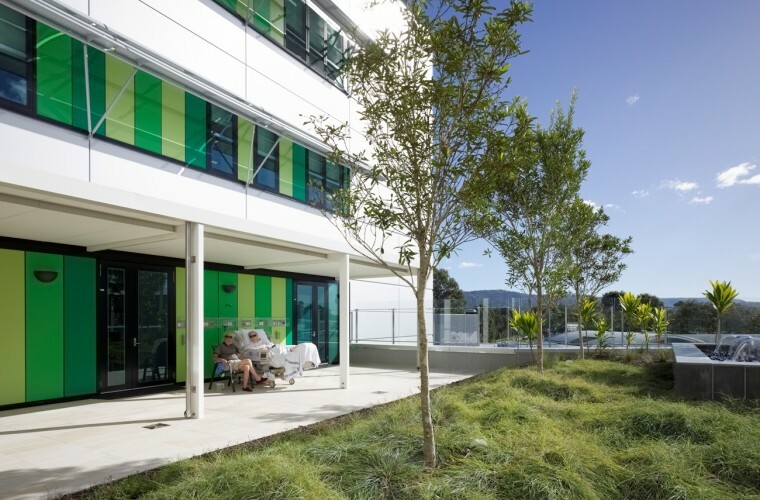 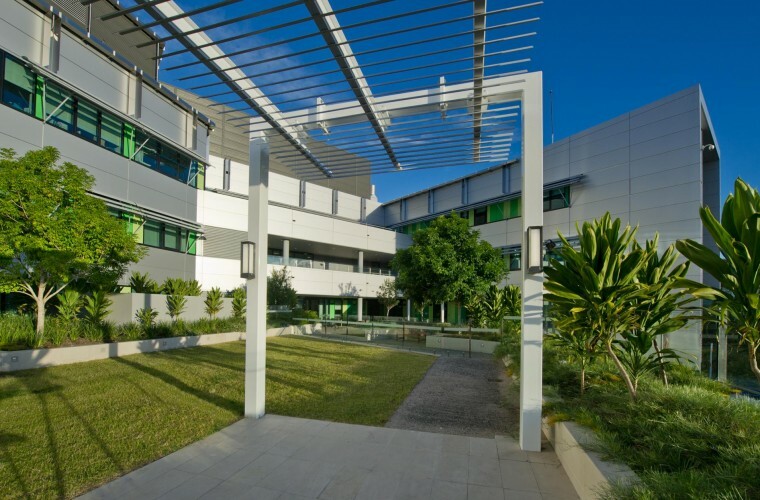 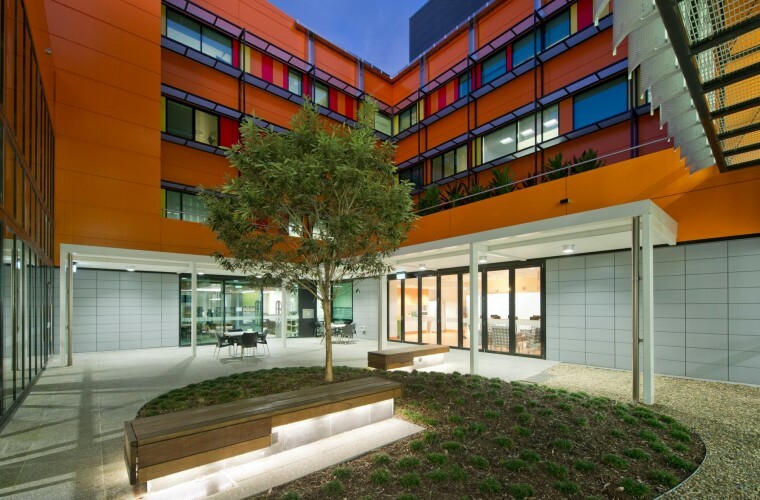 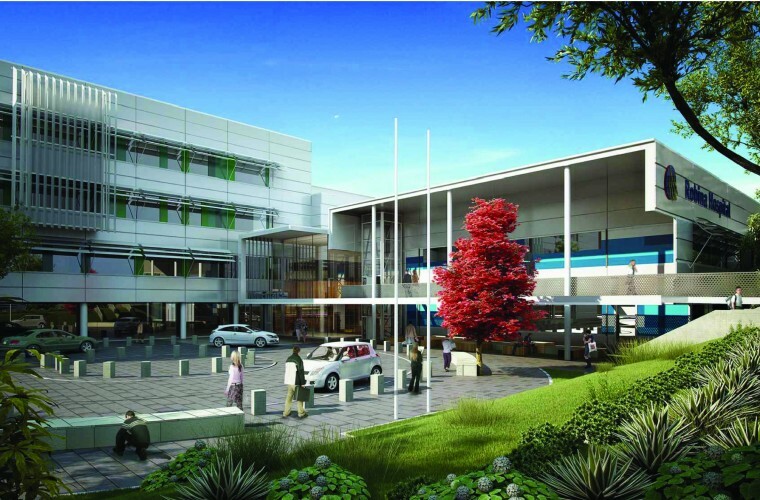 "O2 Landscape Architecture provided a stand-out service and were integral in delivering a project which is considered a flag-ship of Queensland Health"
Robina Hospital has a distinctive character of campus buildings ‘interwoven’ with courtyards and gardens. 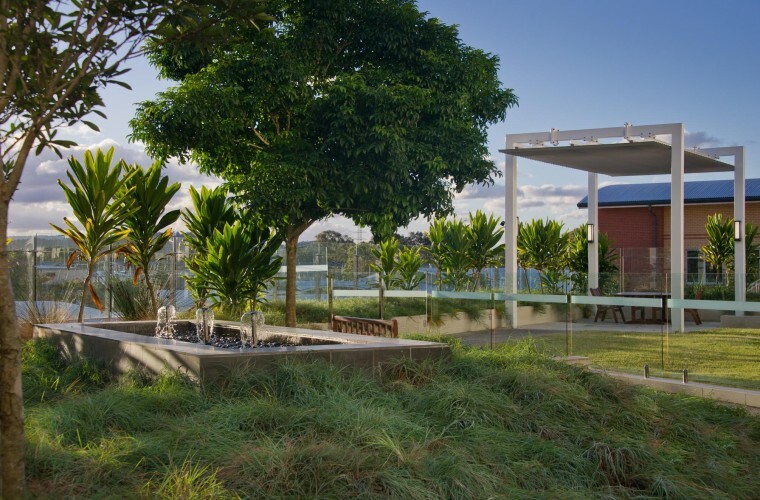 This landscape setting is reinforced by its location alongside Mudgeeraba Creek and views to the forest hinterland. 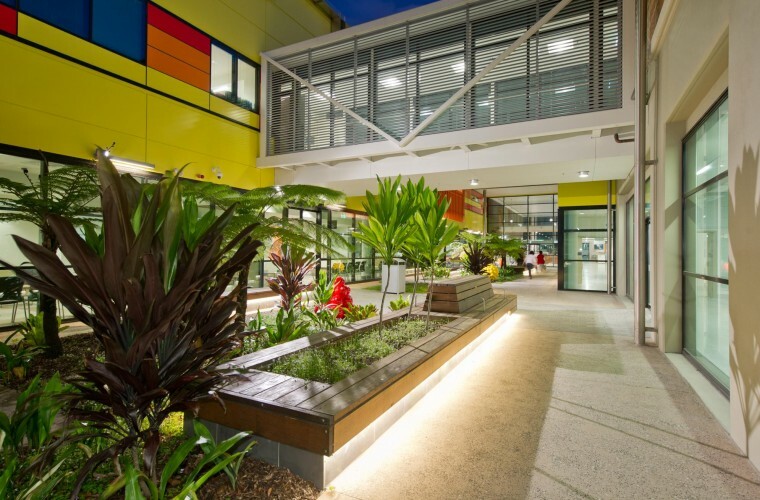 O2 Landscape Architecture collaborated with BVN to emphasise and integrate the external environment as a means of enhancing the experience of patients, staff and visitors alike. 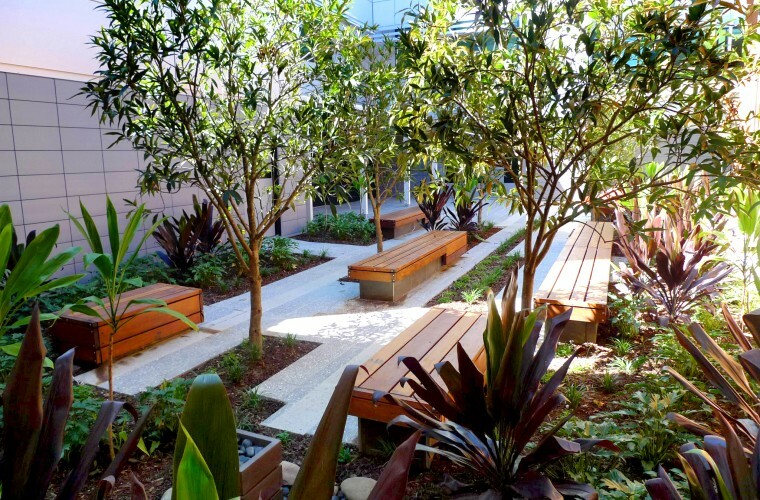 Key objectives were to provide uplifting spaces, enclosed/soothing gardens for reflection, and ‘recovery spaces’ to provide a marked distraction from ‘treatment rooms’. 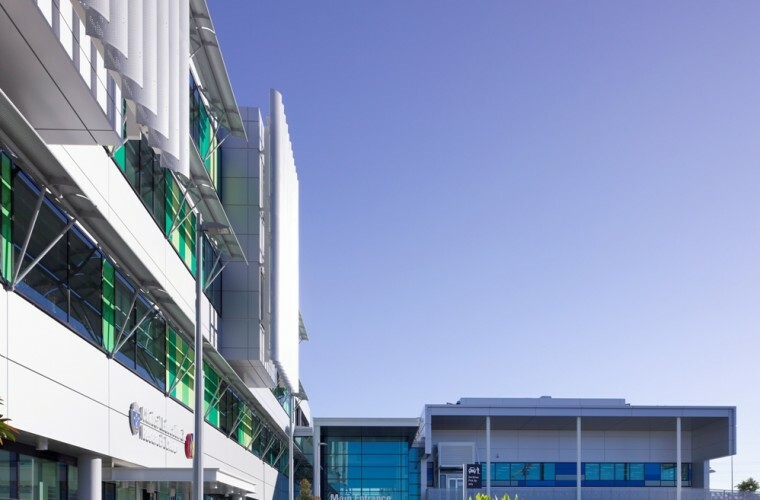 The main entry/drop off is a shared zone for pedestrians and motorists and is characterised by durable materials of high visual amenity. 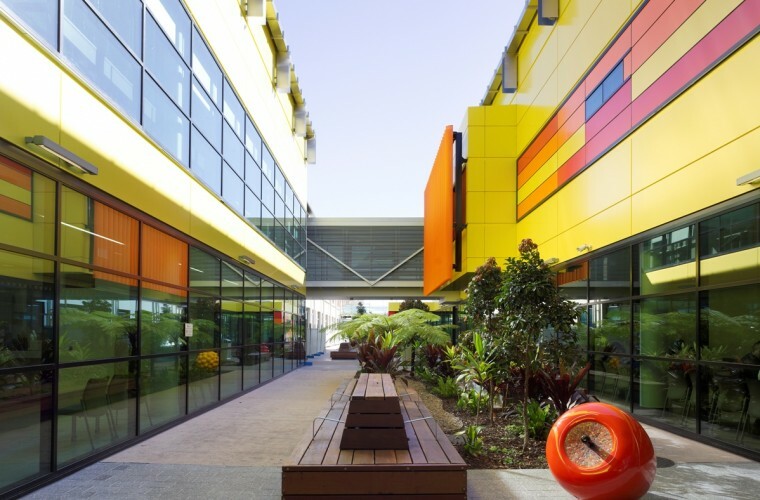 It is also a linking element between the main carpark to the south and main courtyard to the north. 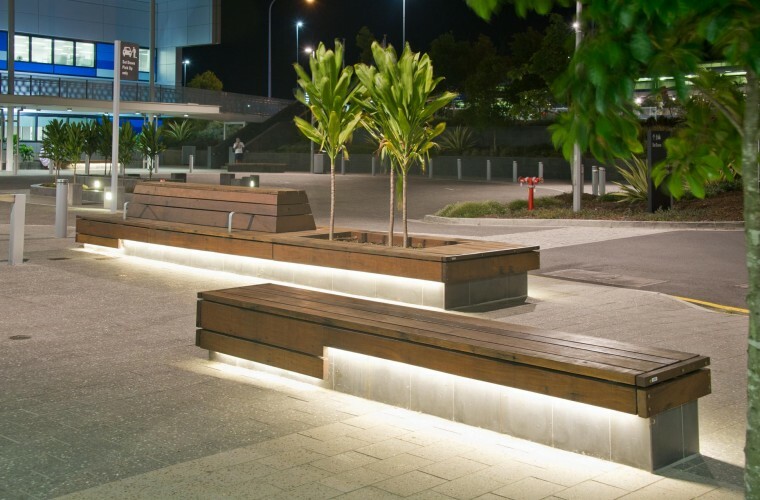 In collaboration with BVN, a pedestrian spine brings together these three spaces through a carefully considered functional layout, consistent form for design elements, select palette of finishes, custom designed seating elements and subtropical planting which help define and reinforce this spine. 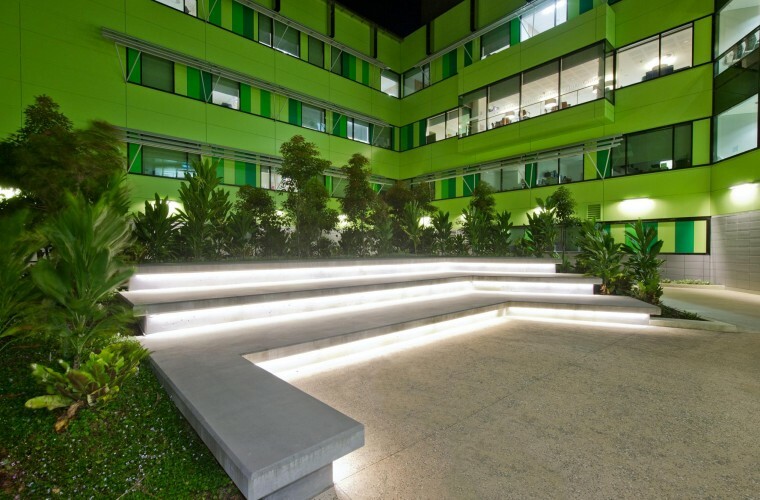 Also included in the scope of work are several courtyards, podium terraces, carparks and streetscape.